Description Lifetime Powertrain Warranty. See Dealer for Details. 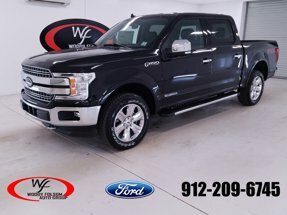 10-Speed 3.0L Diesel Turbocharged NAVIGATION, REAR VIEW BACK UP CAMERA, BLUETOOTH STREAMING AUDIO, HEATED SEATS, COOLED SEATS, TOW PACKAGE, REMOTE START, PUSH BUTTON START, SATELLITE RADIO, PREMIUM AUDIO, STEERING WHEEL CONTROLS, PREMIUM WHEELS, 4WD, 4WD.